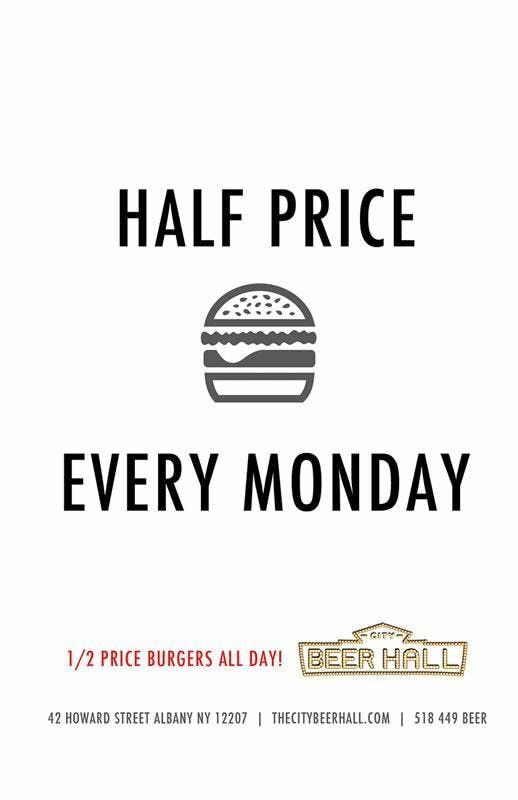 Every Monday join us for HALF PRICE BURGERS! Enjoy our burger with Highland Hollow Farms whole cow ground beef, gruyere, lettuce, pickled red onion, spicy pickles, caper remoulade with a side of fries. 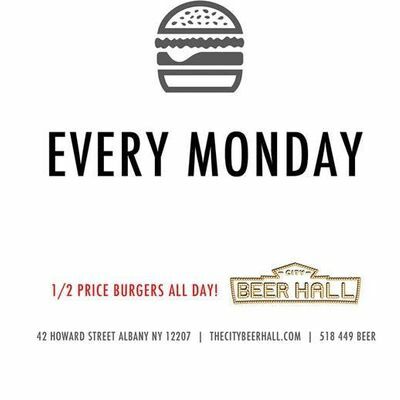 Half price all days, every Monday!